Expand your pool service business with ManageMart! ManageMart: a pool service app you can trust. Managing a pool business is one of the most daunting tasks ever. There are certainly many things to look after such as invoicing, scheduling, pool management, routing, customer management, billing, and much more. Managemart is a top-notch pool maintenance software solution. Operating from your laptop, tablet or phone, it automates your pool maintenance routine without depending much on the manual processes. Our pool service management software can reduce your burden to a great extent, and will give your desired results within a few seconds! Starting from sales team arrangement to business estimation, from invoicing to management of field workers, this professional pool service app covers every aspect of swimming pool maintenance business. Achieve highest level of customer satisfaction with our advanced tools and CRM software for the swimming pool business! Approach each client individually and never miss an appointment with advanced scheduling from Managemart! Provide excellent services and give your customers comprehensive and accurate pricing and billing information. Driven by intelligent process automation, this high-quality pool maintenance app, gives you distinct competitive edge and is surely a must-have! Achieve up to 20% efficiency boost by leveraging the best pool service management software solution from Managemart. Decrease your pressure level, get help in settling legal matters, scheduling, billing, CRM, paperwork, and streamline your pool service business. A one-stop solution for pool business management! Whether it is about your team management or regular meeting with the prospective clients, task scheduling or GPS tracking, our professional pool business software will take care of your workflow without much hassle. Our swimming pool service app is one of the rarest applications in this competitive niche, and has all it takes to organize and automate your pool service business. Instead of relying completely on the paper, use Managemart, an ultimate, all-inclusive pool service software. Pool service explained: what comes after scheduling? Pool maintenance scheduling is one of Managemart software main use cases. As we make the scheduling easy for you, we take care of the routing problems as well. Both pool service scheduling and routing go hand-in-hand. As of today, it is quite difficult to track a customer without using a pool service route software. Field technicians also need help while driving to town in search of customers. So how can our pool care app help you? Our pool route software can help you in routing tasks and will enable the field technicians to optimize the routes. They will not hunt for the user's addresses; rather, they will reach the destination directly without any disturbances. Inform customers about the pool cleaning timings and services, with our pool service app. Drag and drop appointments, send bills and notifications, tackle issues and complaints and much more! Your pool technicians will be given a precise and accurate schedule and will be instantly informed about their current tasks and routes. Our pool service software has such features as color coding, crew filters, and event tracking as well as many more. Your crew members will have clear understanding of their tasks and workload. Gain competitive edge by managing your pool service teams more effectively. Track your customer details, order and payment history and centralize communication. Your field technicians and office manager can also have your customer info at hand. Moreover, field employee can get all the information and history record, which will help you serve your pool cleaning clients in a better way. Pool business involves both repair and maintenance, which follow different types of billing rules. Pool service billing and estimating is a difficult job, which often requires a standalone software. There are just too many things you need to take into account, to come up with a well grounded pricing information. Pool estimating software can handle that, but Managemart offers an integrated estimating feature, which helps you with your pool service pricing. Labor costs, maintenance charges, and overhead costs can also be calculated by our pool billing software. Pool technicians can now create invoices, taking into account taxes and coupons. If you genuinely want to improve the productivity of your business, get a free trial of our pool service software now! Still getting misled by GPS and getting confused with directions? 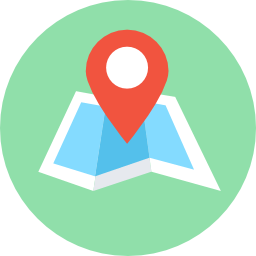 Let our pool service route software handle how you get to your customers. Our pool route management software has the most innovative GPS tracking system. It works with more than 530 different devices and guarantees clever geolocation of your crews in real time. Our advanced routing feature helps you take your crews to your customers’ location in time all the time. In case you’re not satisfied, you can easily change the route with just a few clicks. You can plan ahead and never have to reschedule pool maintenance appointments. With Managemart you will always be on time! Why should I choose Managemart of all pool service software? Managemart is the best pool maintenance app because it integrates multiple features and offers you complete pool cleaning business toolset. Instead of having separate routing, tracking, billing and estimating software run on your device, we offer you an all-in-one solution, an ultimate pool service app to meet all your business needs. 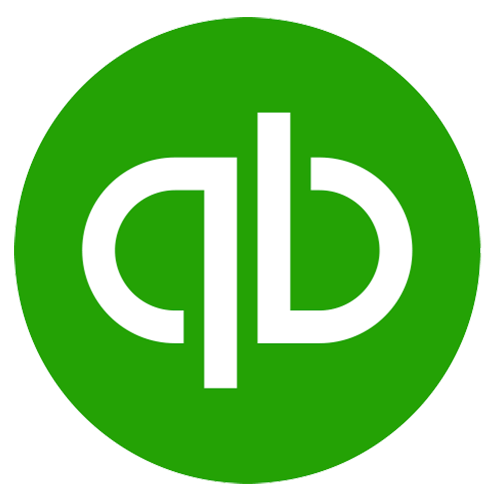 Moreover, it will easily integrate with your accounting software, such as Quickbooks. Can I run your pool company software on my Iphone? Our pool service software will run on both Android and iPhone, plus, it will work with more than 530 devices - tablets, laptops and phones from different vendors. Can I try Managemart pool service app before I buy it? Yes, we do offer a free 15 day trial period for study and evaluation. Download your FREE trial version here.